Welcome to St. Robert Bellarmine Catholic Elementary School! St. Robert Bellarmine Parish was founded on December 12, 1907, when the first Mass was celebrated by Fr. James O’Neill in the Odd Fellows Hall located on San Fernando Road and Olive Avenue. At that time, it was known as Holy Trinity Parish. The church was erected on the current school property in 1909 and was the first Catholic Church in the San Fernando Valley. St. Francis Xavier Cabrini frequently attended Mass there and she continues to be an important part of the Church community. In 1936, the church became the parish grammar school following the construction of the new church across the street. The school opened in September 1936, with first through fourth grades and had a total enrollment of 88 pupils. Five religious sisters, members of the Sisters of Charity of the Blessed Virgin Mary, staffed the new school. By 1938, the school reached an enrollment of 185 pupils in eight grades. In November of that year, Bishop Cantwell blessed the school and renamed it St. Robert Bellarmine. The school continued to grow until, in 1955, it reached a maximum enrollment of 646 pupils occupying 12 classrooms. In September 1969, due to a decline in enrollment, four classrooms were converted to other functions. These former classrooms became the Religion, Learning, Art and Music Centers. In September 1979, the Art and Music Centers became the kindergarten classroom. At the start of the 1987-1988 school year, a fundamental change occurred in the administration of the school. After 51 years of administration by the Sisters of Charity of the Blessed Virgin Mary, the role of principal was filled by a lay person. Today, St. Robert Bellarmine serves students in transitional kindergarten through eighth grade. The students receive instruction in core subjects, religion, physical education, computers, music and Spanish. All classrooms are equipped with televisions, DVD players, Apple T.V., STAR Boards, document cameras and wireless internet. Students in sixth through eighth grades benefit from a 1:1 iPad program where the teachers and students utilize iPads to enhance instruction. The school has a strong relationship with the parish community and St. John Paul II STEM Academy at Bellarmine-Jefferson High School. Together, the entire St. Robert Bellarmine community is dedicated in providing high quality Catholic education. Hello and welcome to the St. Robert Bellarmine Parish School website. Whether you are a present school family, a former family, a prospective family, alumni or member of the parish community I thank you for taking the time to visit us. 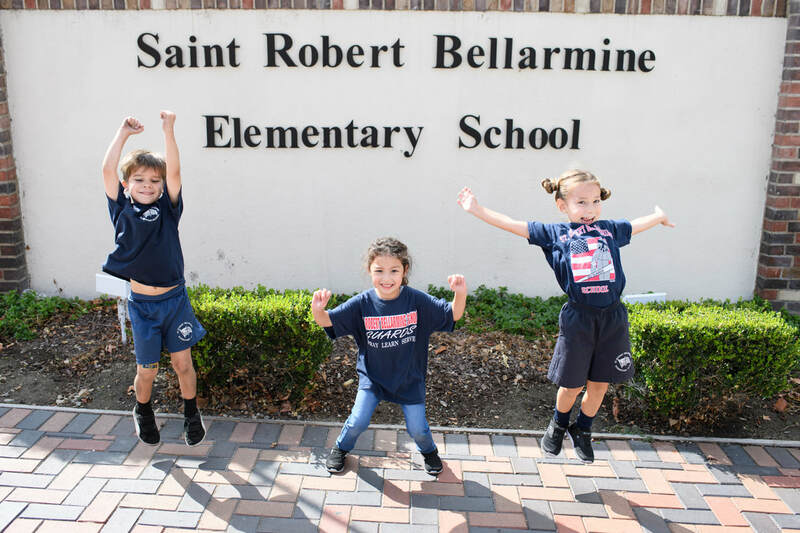 St. Robert Bellarmine School is a faith filled Catholic Community where the parish, parents, faculty and staff enter a partnership together for the education of the students. We strive to create and maintain an environment where all students will grow as people of faith and be academically prepared for the future. It is a joy and privilege for me to be a part of our wonderful school. I hope our new website has helped you get to know us a little better. Thank you again for visiting us. Welcome to the St. Robert Bellarmine Website! At St. Robert’s we strive to instill a love of learning, faith, and service in all of our students. I hope that you will use this site to learn a little more about the many opportunities and programs we have available at SRB. I am thrilled and blessed beyond measure to be able to serve the St. Robert Bellarmine School community as principal. 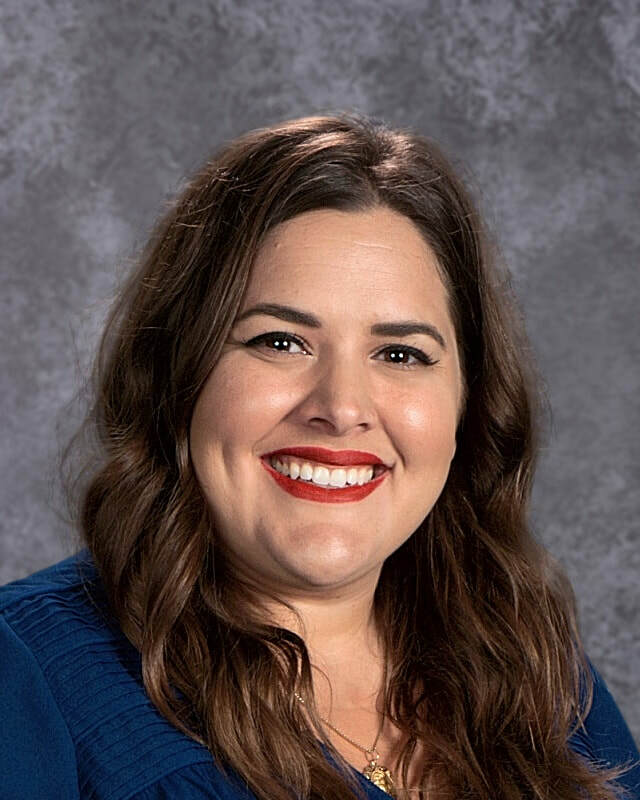 As a lifelong member of the St. Robert’s Parish, I am elated to be serving my “home.” As Mother Teresa said, “Love begins at home, and it is not how much we do….but how much love we put in that action.” I have a deep love for the SRB community and I hope you will choose to make it your home as well. If you would like to learn more about the many faith-filled activities going on at SRB, please contact the office for a personal tour. SRB teachers dedicate themselves to serving their students and families. St. Robert Bellarmine School is fully-accredited by the Western Catholic Educational Association (WCEA).